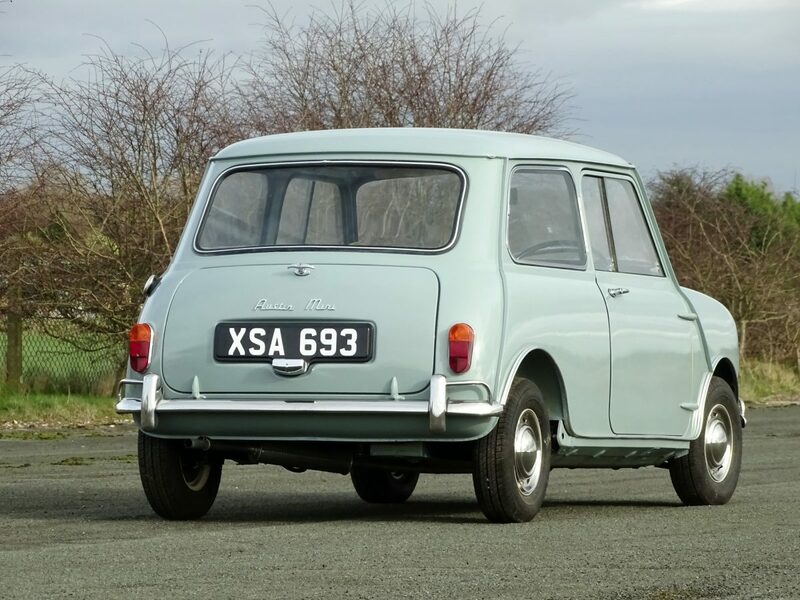 This ‘super rare’ pristine vintage Mini from 1963 is set to be auctioned later this year – having racked up just 7,700 miles on the clock. 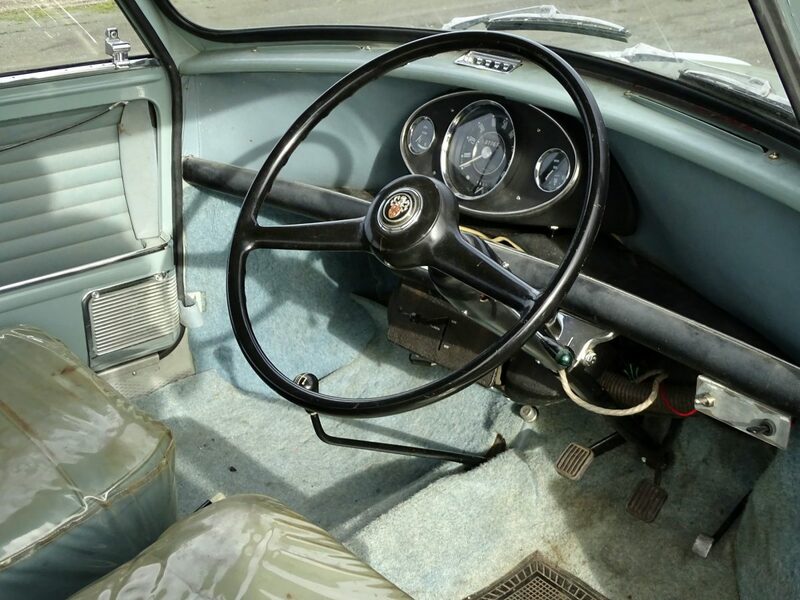 Despite being 56 years old, the pint-sized motor has hardly been driven and is described as having excellent bodywork, engine, electrics, gearbox and interior trim. Bought by a midwife from Aberdeen as a retirement present for herself, she only drove the Austin Mini 850 Super De Luxe for one year before she sadly passed away. The pale blue car remained in storage until 1982, before it was bequeathed to her brother-in-law who used it for a year. In September 1983 he put it up for auction at the Grampian Motor Museum, where the present owner bought it. The 1960s icon has an average mileage of 137.5 miles per year since its release and has been looked after well over the decades. 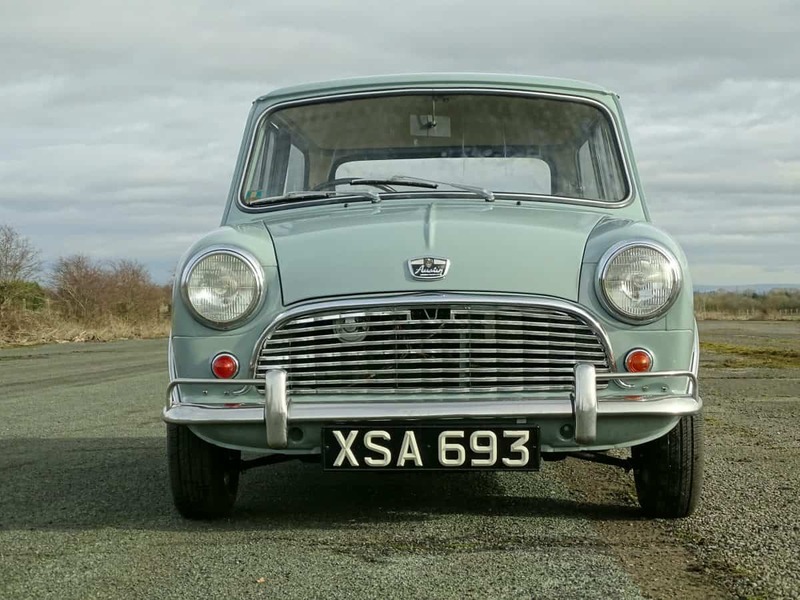 The Mini – part of the Mark I Mini series – will be up for grabs when it goes to auction in Buxton, East Midlands on April 10. The vintage car has been listed as having ‘no reserve’ price, so punters could snap up the stunning vehicle for a bargain price. Roger Nowell of the H&H Classics Sales team claimed there ‘won’t be another’ of its kind at auction. Its history file includes all its handbooks, price list, colour chart, sales brochure as well as Mots from 1983 and 1984, tax disc from 1984. The charming motor also has the original Aberdeen registration number. The spare key is still in the original leather cover and the sports the Conway plastic protective seat covers from new. There are also invoices on file for £5,000 of work carried out in 2009 and the car comes with a selection of spares. Mr Nowell said: “It’s super rare to find. “There were millions made but there won’t be another one with 7,000-odd miles. “It’s unique to find a car with such low mileage. 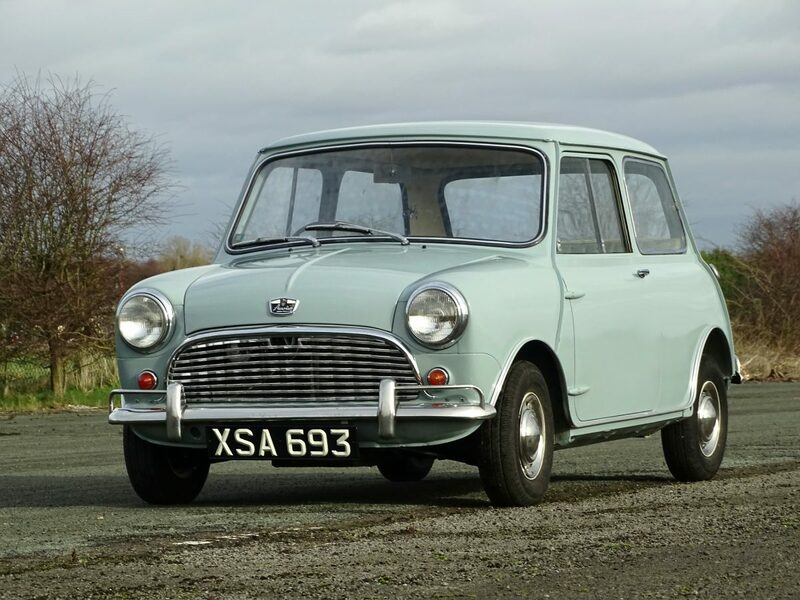 The Mini went on to become a classic of British manufacturing and motoring design, following its first release in 1959.